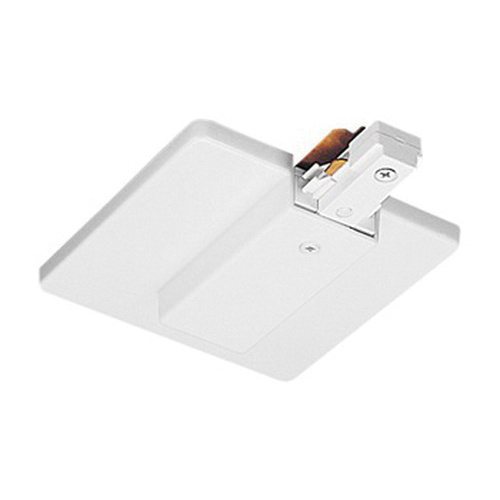 Juno Lighting Trac-Master® Collection End feed connector with outlet box cover in white color, is suitable to use with Trac 12/25™ low voltage track system. It includes outlet box cover, fixture strap and ground screw. End feed connector and outlet box cover is UL listed and CSA certified.